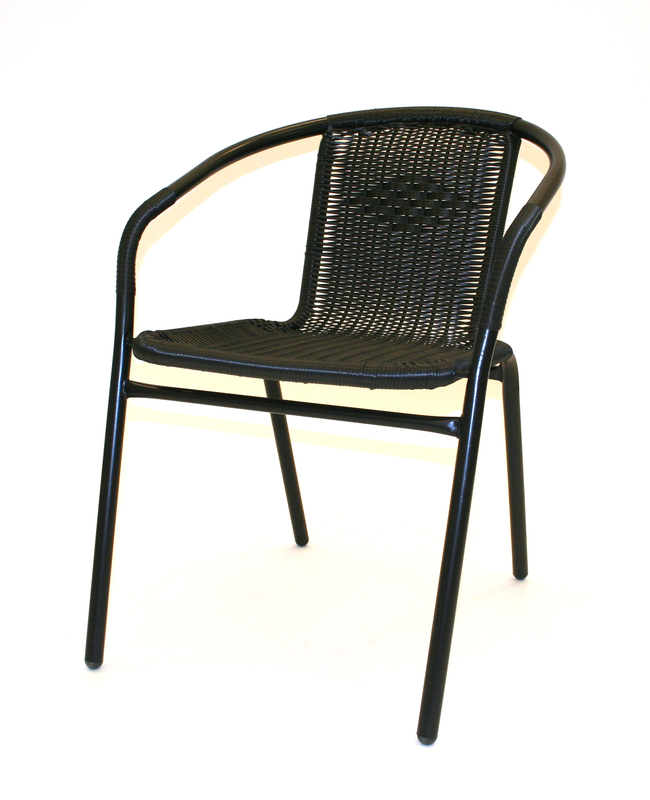 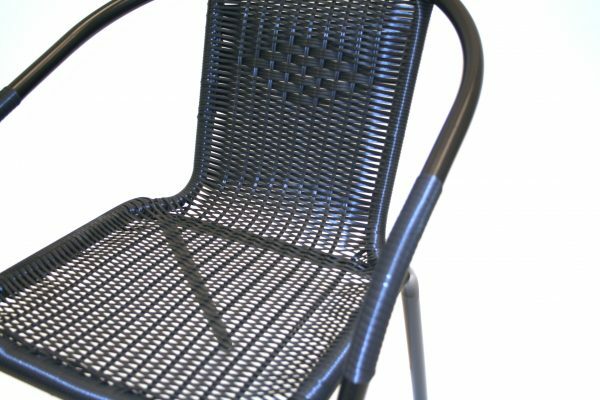 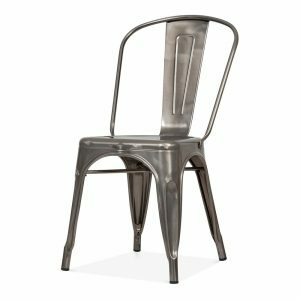 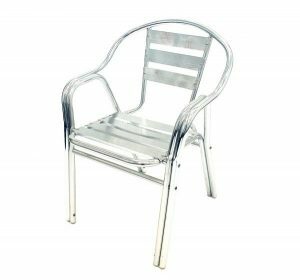 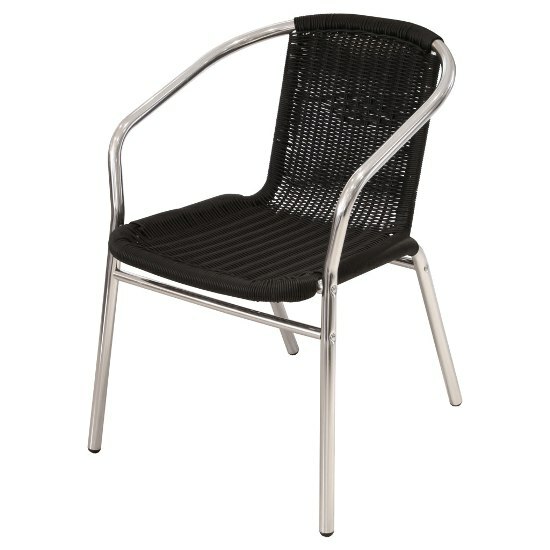 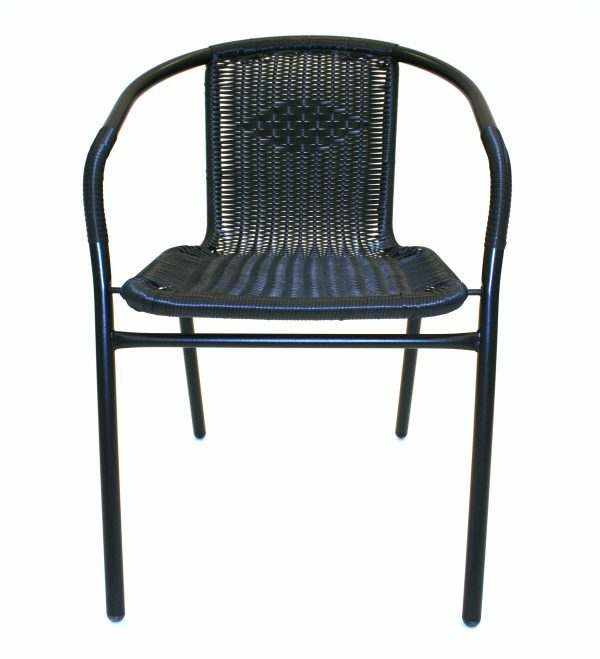 These brand new black framed rattan cafe chairs are suitable for use in the garden or for bistro’s and restaurants etc. 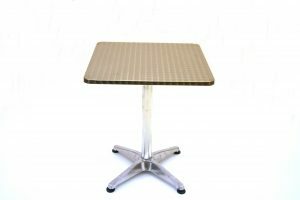 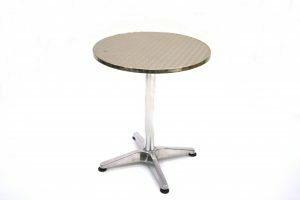 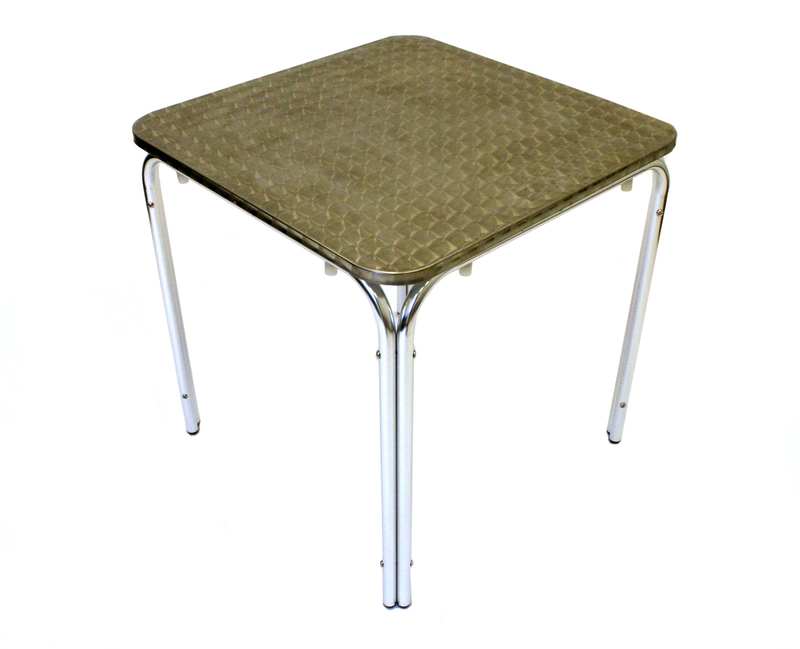 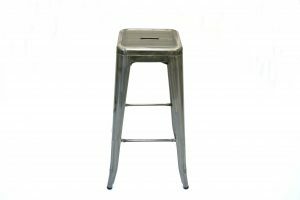 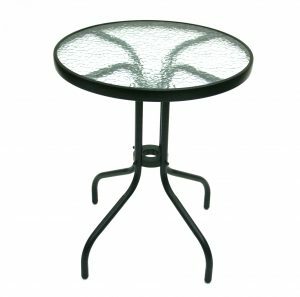 They go well with our range of aluminium and glass tables and have plastic feet to prevent scratching the floor. 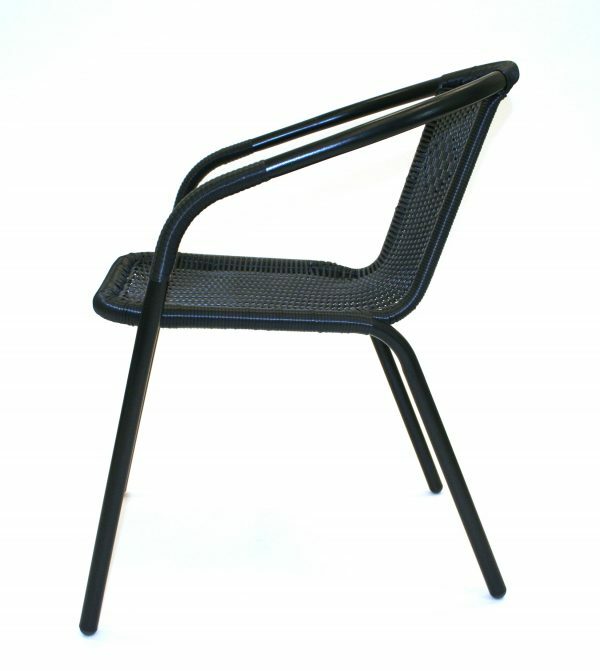 The seat height is 43 cm and they stack tightly for storage. 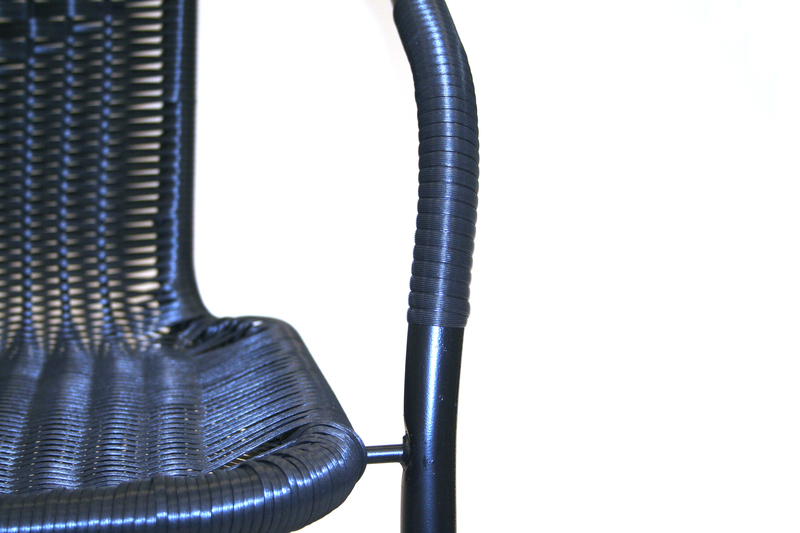 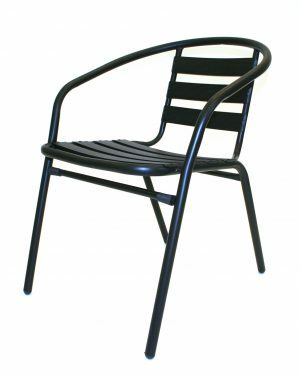 Each chair has a black steel frame with black rattan seat and back and black rattan arm rests.